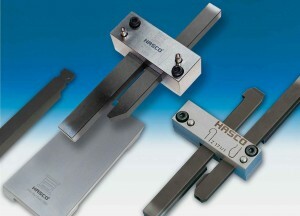 Latch locking units are used primarily on injection moulds with multiple plate movements. They can be subject to particularly high loads as a function of the component dimensions and the size of the mould. With its extensive range of latch locking units, HASCO offers a variety of options for solving complex applications on a customised basis. Latch locking units Z170/…, Z171/… and Z174/…, which now have a DLC coating on their functional surfaces, constitute the ideal solution for keeping friction and wear down to a minimum. They are especially suited to use in the food and medical sectors, since production can be run without lubricants, making it compatible to a clean room environment. The coating does not lead to any dimensional changes in the functional surfaces, hence the new latch locking units can be fitted 1:1 to existing systems. The HASCO latch locking units are noted for their good slip properties, due to the low coefficients of friction, and for their maximum corrosion protection. Thus, they guarantee maximum quality. Optimum tribological properties clearly improve mould service life and help minimise wear. Thus, they also contribute towards boosting productivity and reducing the costs of mould construction.